Welcome to Estabrook Nissan in Pascagoula, MS! When you're looking to buy or lease a new or used Nissan, be sure to come to Estabrook Nissan for a truly incredible experience. Our Nissan dealership in Pascagoula, MS, provides you with a stellar selection of new and used Nissan models for sale, plus pre-owned vehicles of other makes. And if you need to schedule Nissan service, we can help you, too. 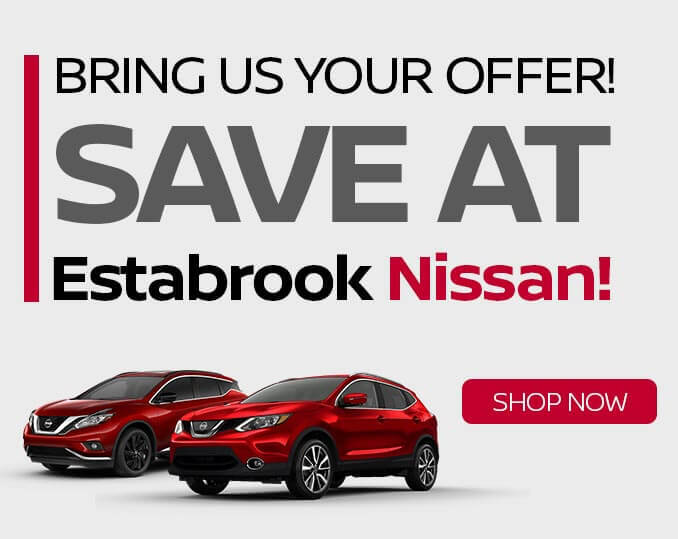 Visit Estabrook Nissan today and enjoy service with a smile! If you're looking to buy a new Nissan, we have plenty of options for you at our Pascagoula car dealership. Want to take home a new Nissan sedan? Then lease a new Nissan Altima and enjoy every adventure around Greater Biloxi. Interested in a new Nissan SUV? We have new Nissan Rogue and Murano models that are sure to please. We have new Nissan Frontier and Titan trucks on our lot, too. For those who want to buy a used Nissan, you can test-drive a pre-owned Nissan Maxima or buy a used Nissan Rogue Sport and take on your everyday commutes. We also have used cars of other makes, too. No matter which car you want to take home, our Nissan finance team can help you go over your auto lease and loan options. To keep your Nissan running as it should, Estabrook Nissan has a fully staffed Nissan service center. We employ Nissan service technicians who can handle simple repairs like oil changes and tire rotations to more extensive engine and transmission work, so you can trust our team to take care of your vehicle. Plus, if you want to buy OEM Nissan parts and accessories, you can visit our on-site parts center! 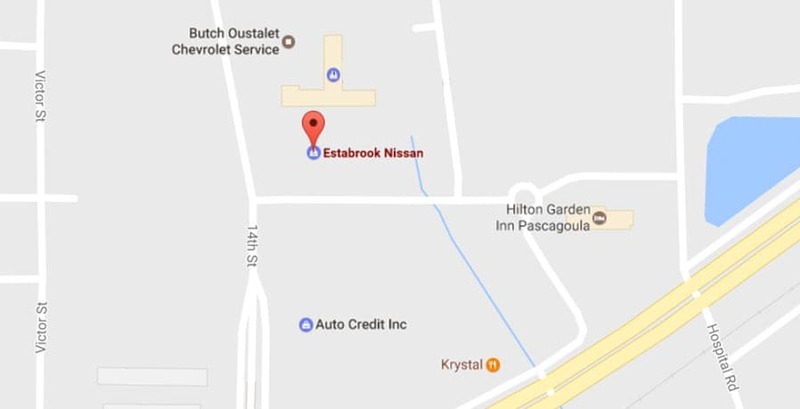 Estabrook Nissan is conveniently located at 3693 14th St. in Pascagoula, MS. 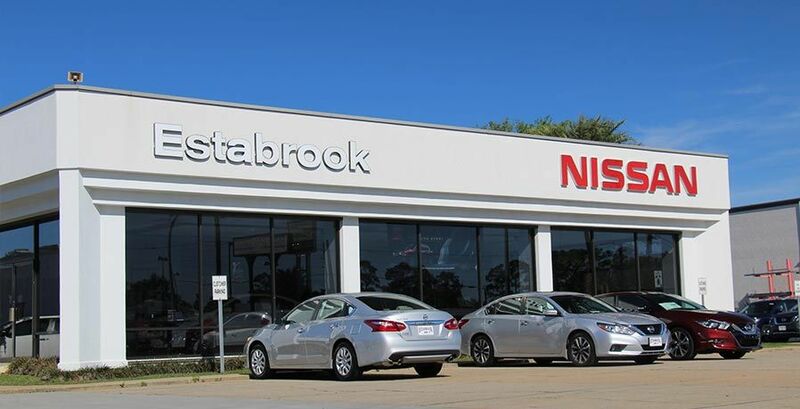 It's only a quick drive away for those who are coming from Mobile, Biloxi, Ocean Springs and beyond, so make the short trip to our Pascagoula Nissan dealer today!